Now is the time of the year that you will notice frost on your windshield and windows. In the morning before you drive to work, you will want to make sure that all of the windows are cleared off. Make sure you can see out of every window, including the back window or windshield. This should also mean checking the side mirrors to ensure they are cleared off as well. You will want to take a snow scraper to remove the frost. If you try to run your windshield wipers, you can end up damaging the rubber portion of the blades on the frost or ice. To help get your car going sooner, take a few extra minutes to have it start running. Letting it warm up for a few minutes helps to get the oil warmed up. This helps to move through the engine as you drive. 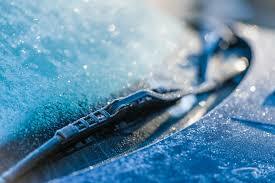 Make sure that you switch the heat onto defrost, so then it can assist in warming up the windshield. With the windshield getting warm, then it can help to remove frost and ice that might be on the windshield. You will also want to remember to brush off any and all snow from your vehicle, once it is snowing. Otherwise, the snow can blow off and impair the visibility of drivers behind you. The hood should also be clear, because that snow can blow up and impact your own visibility. This can be dangerous while on the interstate or with crowded and busy traffic. Another good rule to follow is to make sure you have washer fluid filled up. This will help removed any dirt or road grime from the windshield. In the winter, sometimes clearing the windshield can leave smudge marks. When you use the washer fluid, it will quickly help to get the windshield clean and improve visibility for you again.